Artefact Description 50ft x 60ft approximately. Green, red, yellow geometric pattern that looks like a series of number ‘1’s connected together. Vibrant colours and pattern. 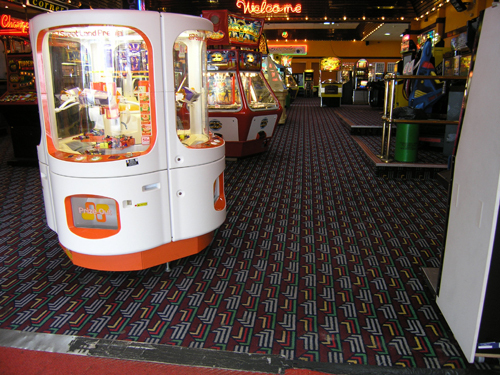 History of Artefact It is a hard-wearing carpet for constant use in the arcade.